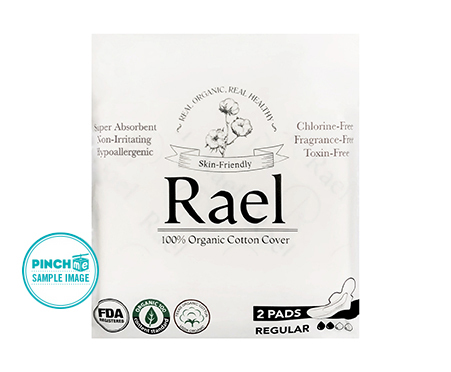 Stay comfy and dry all day with Rael’s super soft, super absorbent organic cotton pads. 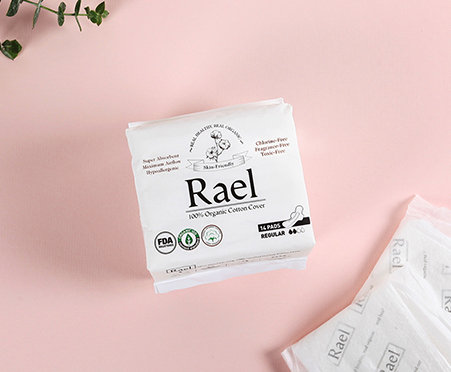 Perfect for your light to moderate flow days, Rael’s organic cotton pads feature leak locker technology and a super absorbent natural wood pulp core that locks in liquid so that you can go about your day feeling fresh, light and comfortable. 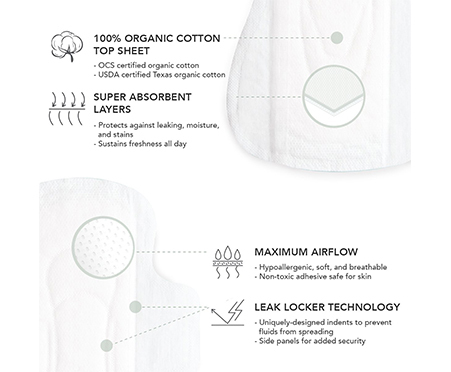 Made by women, for women, Rael’s organic cotton pads are designed for maximum comfort, airflow and protection so you can go about your day like a boss. Say no to iffy chemicals like chlorine and wave goodbye to odor and irritation. 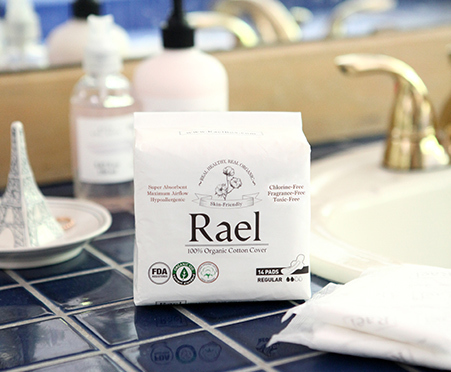 Go natural, #GetRael.